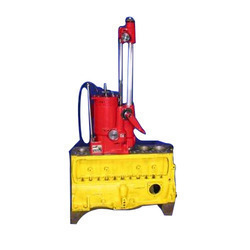 Prominent & Leading Manufacturer from Ghaziabad, we offer heavy duty cylinder boring machine. With the aid of advance machinery installed at our manufacturing unit, we have been able to offer premium quality Heavy Duty Cylinder Boring Machine to our valuable customers. Manufactured from finest grade materials, these boring bars are known for their robust design, high anti corrosive property and optimum tensile strength. These boring bars are available with us in user-defined specifications. High Speed High Speed Maximum Single Cut 0.020"
Looking for Heavy Duty Cylinder Boring Machine ?